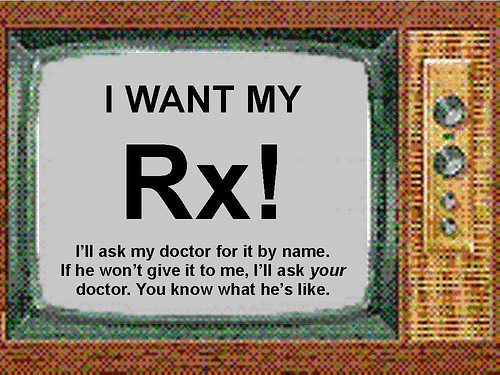 Is there anybody who is NOT sick of seeing drug commercials on TV? Can I see a show of hands? Anybody? Anybody? Bueller? Psychologists are trying to capitalize on that sentiment with an ad campaign launched last week that parodies these annoying TV spots and promotes a more drug-free approach to treating depression and anxiety — psychotherapy. Antidepressants and anxiety drugs have become the most popular way to treat these problems over the last 10 years. True, many people shy away from talk therapy and find the idea of popping a pill more attractive. No muss no fuss. But it’s also cheaper for insurance companies to pay for an occasional visit to a primary care physician who will prescribe a medication for the problem rather than a course of talk therapy sessions that may go on weekly for months. So, the nuts and bolts of feeling better by discussing life’s problems have been left to psychologists, clinical social workers and professional counselors. They say that it actually does work, and there’s research to back them up. Most studies have shown that talk therapy at least rivals drug therapy. In a 2004 survey published by Consumer Reports, respondents said treatment that was “mostly talk” had better outcomes than treatment that was mostly medication. The consensus seemed to be that drugs had led to quicker improvement, but psychotherapy resulted in more long-term improvement. Other studies have shown that a combination of drug and talk therapy is a one-two punch that works best. Back to the psychologists’ ad campaign: The APA is trying to draw attention to the issue with a series of wacky animated videos focusing on a fictional “miracle drug” called “Fixitol.” The videos are available on an APA website and on YouTube. The campaign, called: Psychotherapy: More Than a Quick Fix, is detailed on the APA website Psychotherapy Works. It’s part of a continuing effort by mental health professionals to maintain their niche in a world where immediate success is preferred by payors in order to cut costs and increase profits. Such is the American health care system. Following up on my post of Aug. 17 (Hazards here, there and everywhere), Consumer Reports just published an analysis of arsenic levels in rice products and found “worrisome levels” of the carcinogen in everything from baby food to cereal. People who have eaten rice have an arsenic level 44 percent higher than those who have not eaten it. The USA Rice Federation calls the article “incomplete and inaccurate” and contends that rice absorbs arsenic from the environment naturally. The organization produced a new website dedicated to the issue: http://www.arsenicfacts.usarice.com. But the real culprit may be arsenic and other contaminants that are dumped into the environment by corporate agriculture, which feeds arsenic to chickens to control disease and give that delightful pinkish hue to the meat. Agricultural interests may be right in asserting that levels of cancer-causing chemicals like arsenic are at levels too low to cause a problem after a nice big bowl of, let’s say, chicken-rice soup. But after years of exposure you have to wonder what it might be doing to our health over the long haul.